A New York City mailman failed to deliver about 40,000 pieces of mail--some of which date back nearly a decade--and stashed the parcels and letters in his work locker, car, and Brooklyn home, investigators allege. Federal agents this week began investigating Joseph Brucato, 67, after receiving information that there was undelivered mail in his personal vehicle. Brucato, who has delivered mail since 2001, is assigned to Brooklyn’s Ryder Station. According to U.S. District Court criminal complaint, Brucato consented to a search of his car, locker, and home. Agents recovered “approximately 2500 pounds of U.S. mail, some postmarked as early as 2005,” Agent Michael Wu reported. The seized material included “parcels, Priority, First Class and Standard Class” mail intended for Brooklyn residents and businesses. 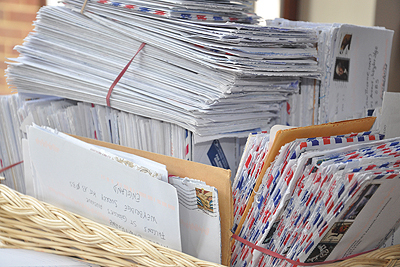 If convicted of the felony mail hoarding, Brucato faces a maximum of five years in prison. He has been suspended without pay by the U.S. Postal Service.